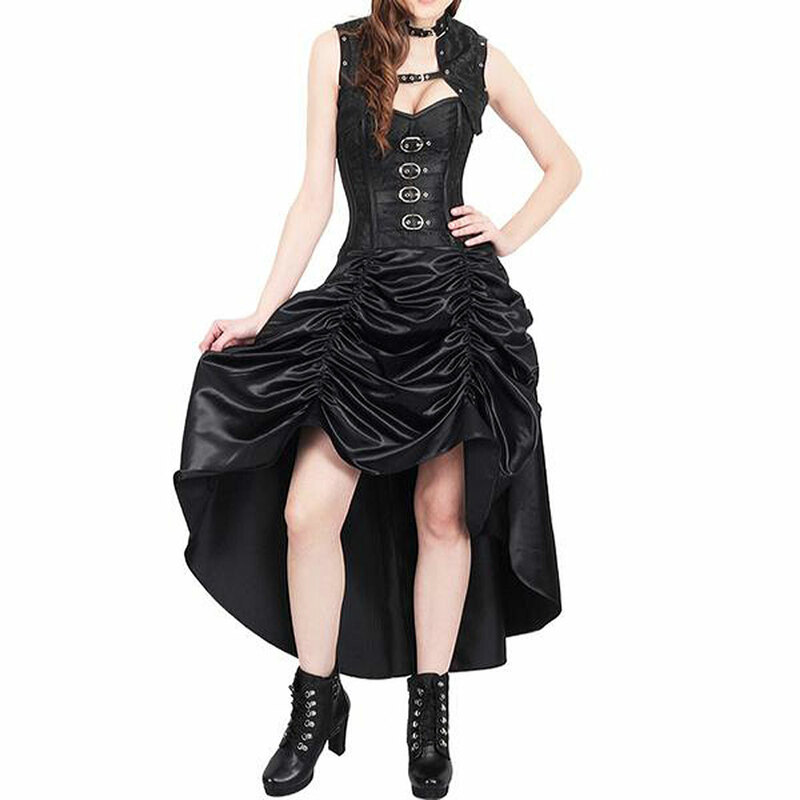 Wonderful gothic dress. Black brocade corset top, with shiny black taffeta skirt. Ruffled front, back part flat and about calves-length. 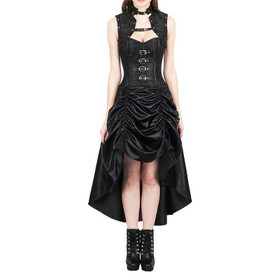 Including bolero jacket. Turns out pretty small. 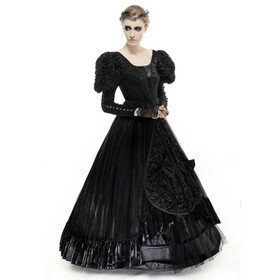 Wonderful gothic dress by Vintage Goth. 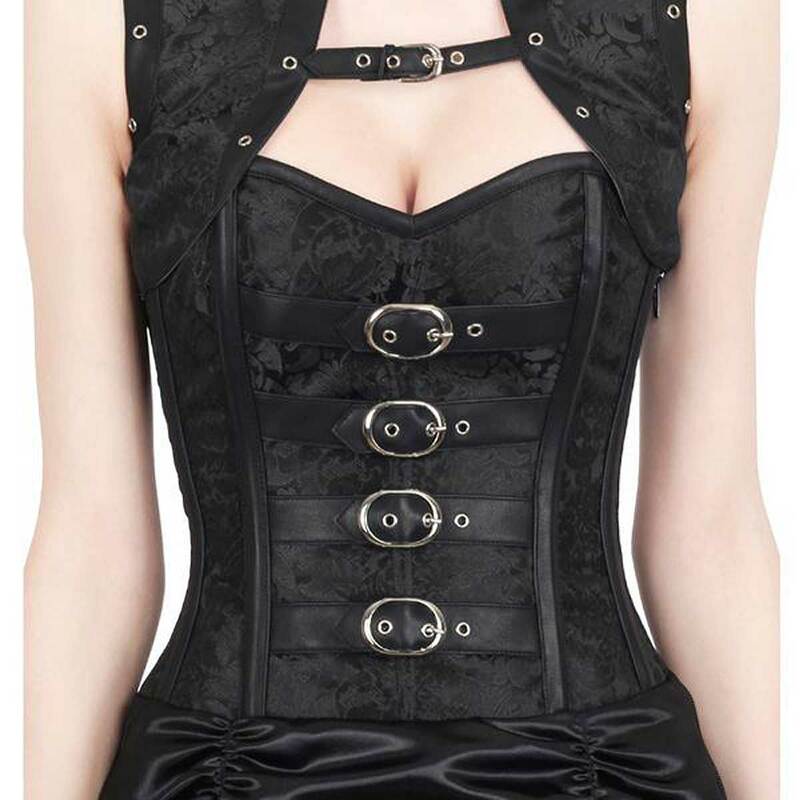 Black brocade corset top, full bust, with 4 front deco buckle straps. Semi-heavy version with "only" 12 inside spiral bones and2 flat steel bones. Inside red satin lining and back panel. 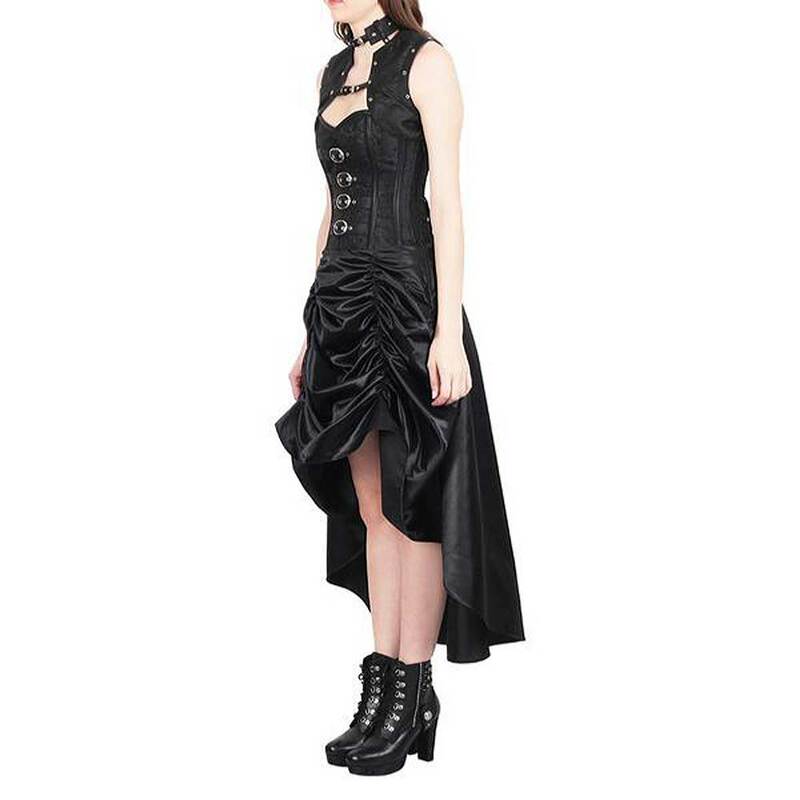 Detached skirt, made of thick, shiny black taffeta. Ruffled front, back part flat and about calves-length. 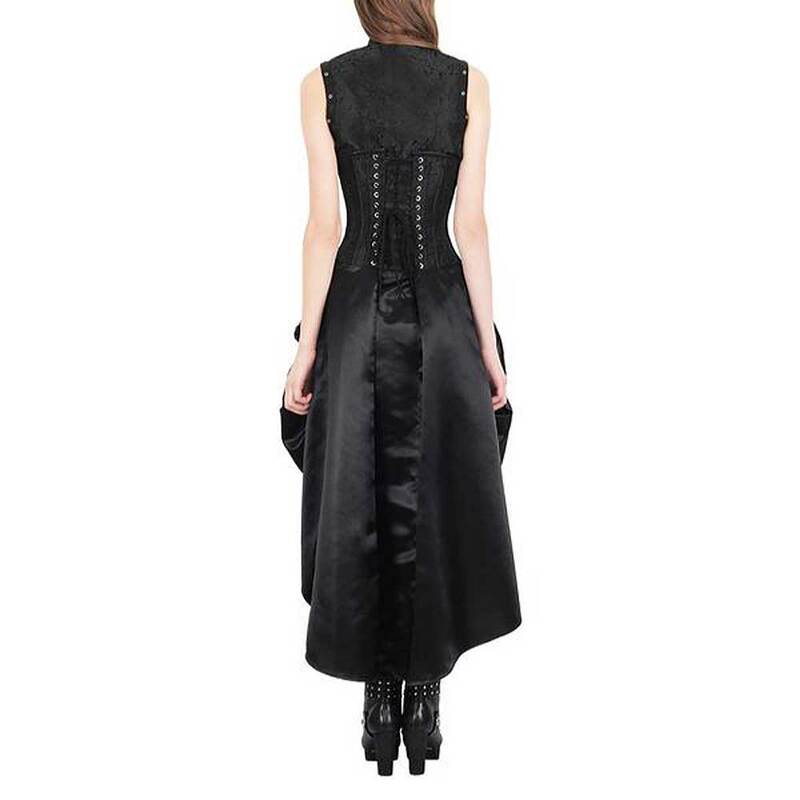 Hidden side zip; corset lace up back. 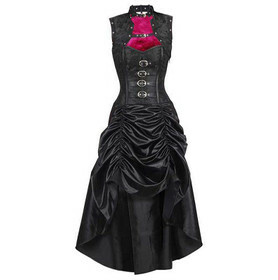 Plus a matching bolero jacket, also in black brocade with black (fake) leather contrasts. Stand up collar and two front buckles. Red satin lining. 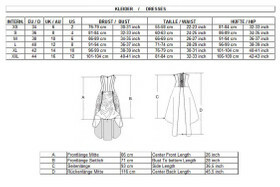 Dress and bolero are not interlinked and can be worn separately. 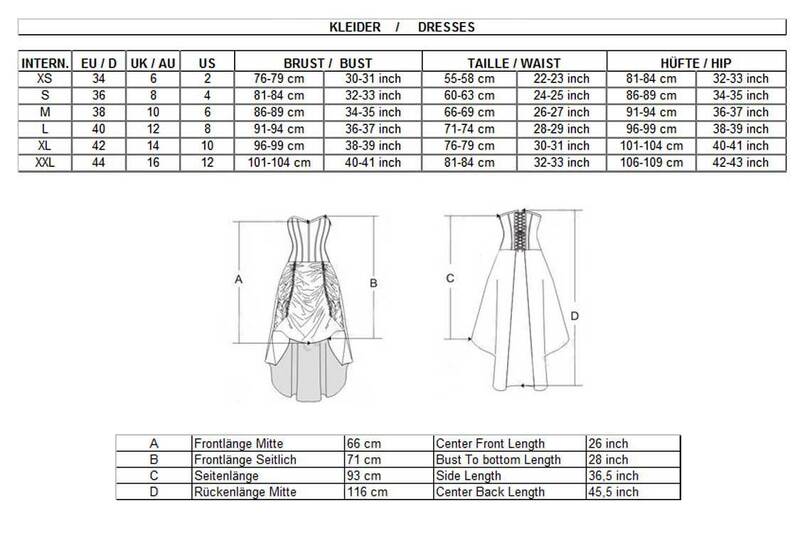 Notice: Turns out small - please select a size bigger than usual.